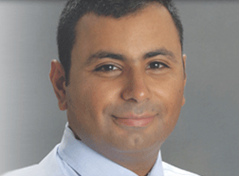 Dr. Amear Tadros, and his wife, Dr. Reem Tadros, have two children, Grace and Antony. In addition to spending time with his family, Dr. Tadros enjoys reading, scuba diving, traveling and serving in his church. To learn more about our Sterling dentist or to schedule an appointment, please contact us!